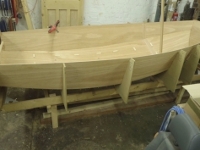 The RYA Mirror Zone Squads are groups of up to 8 helms and their crews who are selected by the RYA as beginning to show promise and talant racing Mirror dinghies. They attend training sessions in their Zone over the winter to improve their racing. Currently there are two squads, the RYA Mirror North Zone Squad and the RYA Mirror South Zone Squad. More details of the RYA Zone Squad Programme is available here. Some funding for these sessions comes from Sport England via the RYA and the rest from the parents. The training sessions appear on our events list, needless to say, they are only open to members of the Zone Squad. Sailors have to be under 15, and ideally starting in a Zone squad aged 9-12 depending on the child. Normally sailors would spend one or two winters in a Zone Squad before progressing to the RYA Mirror National Junior Squad. 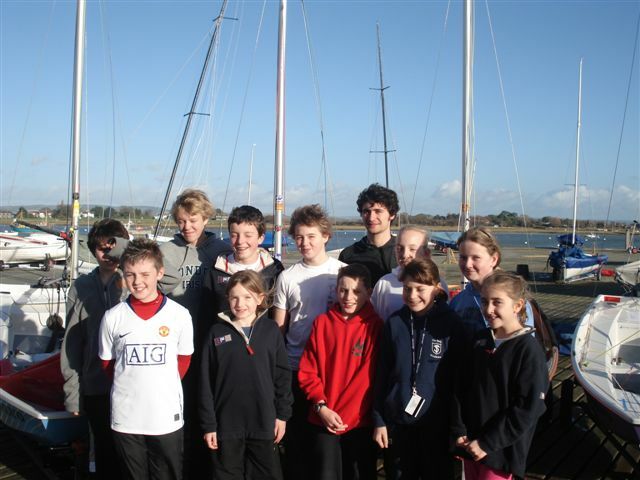 Zone Squads are the first step on the RYA pathway which leads from club sailing to the Olympic Sailing team. For more information on the Zone Squad system (Selection, Criteria, Events, Venues etc) please see the RYA website here. The RYA would run more Mirror Zone Squads if sufficient sailors of the right calibre applied. For example, if 40 Mirrors applied for the South Zone squad, it's very likely that the RYA would run an additional Zone squad, either South West or South East, depending on where in the south of England sailors were based. This would benefit the sailors and their parents since training sessions would be closer to where they live. The squads are coached by a top level coaches, appointed by the RYA. For winter 2011-2012, the RYA Mirror North Zone Squad head coach will be Dave Woodhead and the RYA Mirror South Zone Squad head coach will be Nicky Macgregor. Team up with a helm or crew. Make sure you both meet the age critera. There is a bit of wiggle room if you have, for example, a very young crew. Too old is no good - you can't sail in a Zone squad with your mum or dad! Do as much racing together at your sailing club as you can. You need to be able to sail around a race course efficiently, using the spinnaker when you can, in a range of conditions. Decide if you will apply for the North or South Zone Squad. The definition of the RYA Zones is here. Because there are only two Squads, you need to apply for the one which is closest to where you live. If you are on the border between the two, you might want to talk to one of the RYA High Performance Managers (HPMs) about which one to go for. The North Zone HPM is Chris Blackburn. The South Zone HPM is Chris Atherton. You need to make sure you are both members of the UK Mirror Class Association, see our membership page. You need to apply to the RYA to be considered for selection for your chosen Mirror Zone Squad. The deadline for applying this is normally around the middle of September. Applying for selection is not the same as entering your RYA Zone Championship (next). The application is online. You have to answer a lot of questions, so it's a good idea to find out the answers before you start by filling in this form. Enter and attend the RYA Zone Championship of the Squad you are applying for. These are large, two day, regattas run by the RYA for junior sailors (under 16) who are starting to get to grips with racing. There is one Championship in each Zone or Home Country (Scotland, Wales, Northern Ireland) held on the last weekend in September. For many it will be the first time they have raced away from their club. Usually each RYA Pathway and Supported class (Optimists, Toppers, Mirrors, Cadets,.....) will have their own start. 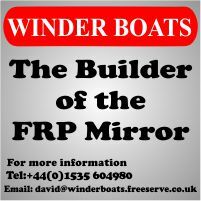 Sometimes the club hosting the event can't cope with that many classes, or maybe the RYA anticipate there will not be enough Mirrors from one Zone to make reasonable size fleet. When this happens you may be asked to sail at a different Zone Championship (for example Mirrors from the SW Zone normally sail at the South Zone Champsionship. Sailors from the RYA National Junior Squads are not allowed to sail at Zone Championships. For details see our event list. Enter and attend the other Mirror Zone Squad selection event. This is normally an Open Meeting in the Zone a few weeks before or after the Zone Championships. Sometimes there is a day of Open Coaching at the same venue the day before the Open Meeting and you may need to attend both. For details see our event list.